Climate change is the harsh reality faced by the world today. There are many factors that contribute towards climate change and every industry has the responsibility to take voluntary steps to reverse this undesirable alteration. The global automobile industry is cognizant of these climatic changes and has been combating this through well-thought-out technologies while educating the stakeholders concerned, including motorists, in parallel. As the drive towards clean fuel is an ongoing quest, there are already several breakthrough innovations, which have come through in-vehicle technology. Among the various innovations, battery operated vehicles seem to be the most viable option, be it in terms of cost, technology implementation or with the general acceptance among the consumers. As consumers across the world are now demanding environmental-friendly vehicles, the 48-volt or 48V electrical system has emerged as the new saviour. The 48V system does not require any vehicle manufacturer to overhaul its existing setup as it is a complementary technology. 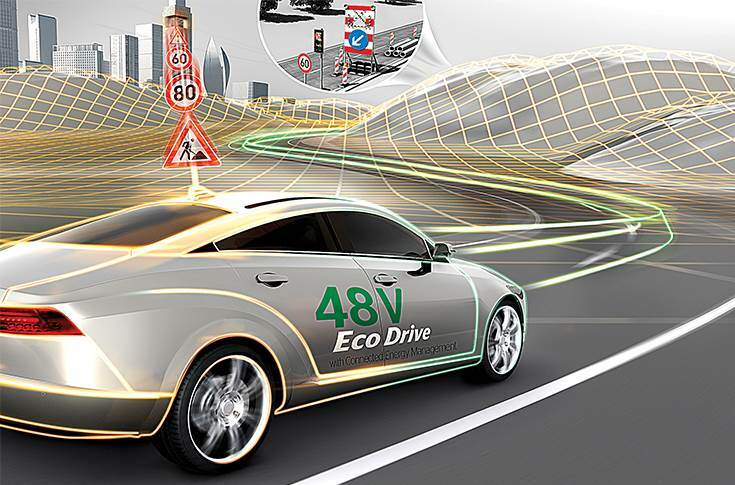 Today, 48V is a powerful and commercially viable solution for hybrid vehicles. Keeping this in mind, a 100 percent hybrid vehicle as a viable commercial model is still a distance away, given certain challenges. In Europe, there are a few automobile manufacturers, such as Renault and Audi, who have delivered the 48V mild hybrid cars on the roads. Continental AG is deeply engaged with this technology and has gained formidable expertise. However, the challenge is to usher in such technologies into countries like India which, like other developed markets, has its own requirements. 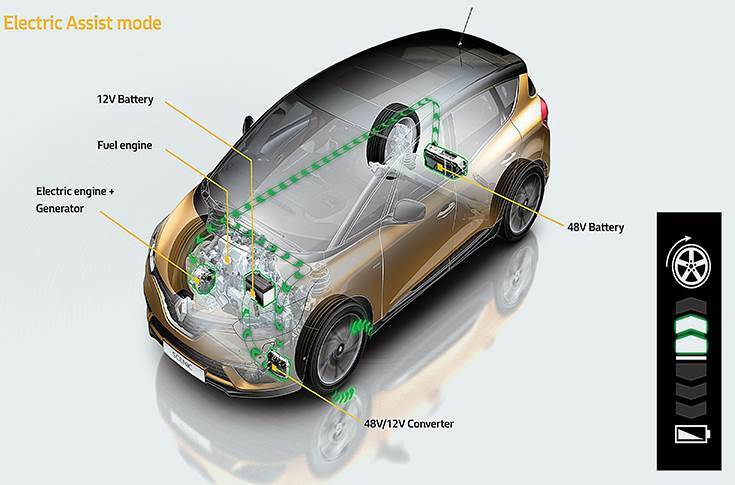 These developments are heartening to Continental as it possesses the technology around 48V, which can be deployed, depending on the demand from the OEMs in India. The prospects look encouraging as the government is keen on unleashing the EV movement in India. This could provide a safer environment for commuters where 48V will be one of the key contributors. Climate change and oil dependency are concerns highly debated by governments and the automotive industry. As a consequence, automobile manufacturers are forced to invest heavily in R&D and control manufacturing costs to cope with stringent emission norms worldwide. The industry feels the need for hybrid and electric vehicles which are appropriate for future transport. Mild hybrid solutions with 48V architecture have emerged as the most promising alternatives, when compared with conventional internal combustion engines and fully electric vehicles. With the increase in electronic components in a car, infotainment systems, advanced driver assistance systems and powertrain controls often demand higher power, limiting the use of 12V electrical systems which have been a standard for several decades. 48V electrical systems, a secondary source of power, complement the use of advanced technology and support hybridisation, without the complexities of a fully electric vehicle. The 48V mild-hybrid architecture includes a ‘starter generator’, a lithium-ion storage battery and a DC/DC converter that integrates the 12V electrical system, controllers and hybrid powertrain and a hybrid-turbocharger or a supercharger. The 48V architecture does not displace the standard 12V electrical framework; rather, it is coupled with the 12V framework through a DC/DC converter. The traditional auto accessories still run on 12V while the 48V battery supports advanced hybridisation. However, unlike electric vehicles, mild hybrid starter generators do not drive the wheels directly but are a subsidiary technology. Many suppliers and OEMs have commercialised this technology globally and one can spot these mild hybrids on the roads already. Global suppliers like Continental, Bosch and Delphi have already commercialised this technology and some are already in serial production. The 48V architecture does not displace the standard 12V electrical framework but is coupled with the 12V framework through a DC/DC converter. India-based technology company KPIT also showcased its early generation of plug-in 48V technology at the 2012 Auto Expo, New Delhi and is marketing this technology under the ‘Revolo Hybrid solutions’ brand name for Indian and global customers. 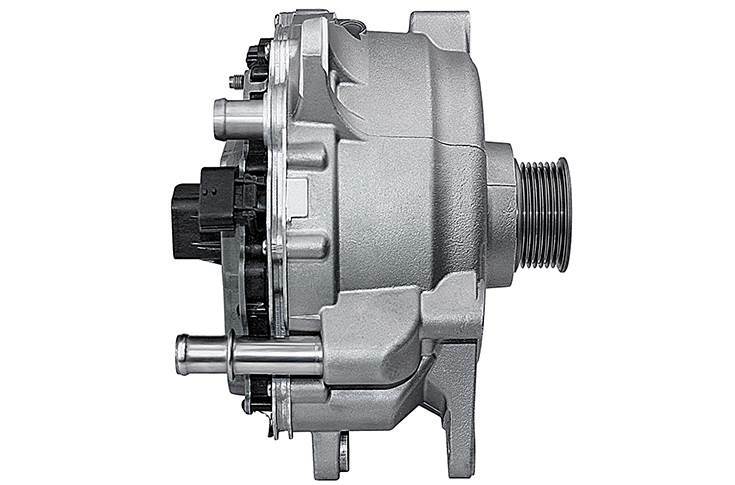 The first-generation, starter generators are driven by belt while the next generations will be coupled between the engine and transmission or sometimes directly into the driveline. Mild hybrids bring 70 percent of the benefits of a full hybrid at 30 percent of the cost to both petrol and diesel vehicles. Recuperation of energy is possible with these mild hybrids and engine shut-off during coasting or downhill driving is achievable. Greater CO2 savings are possible with 48V technology. 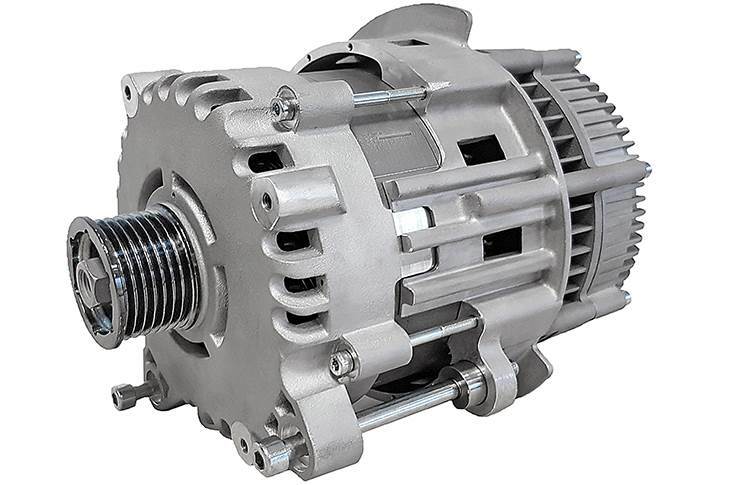 Coupled to an internal-combustion engine, the starter generator provides restart power as well as 15kW and up to 100 Nm of additional torque. Thirteen to 21 percent fuel efficiency is estimated with this technology.